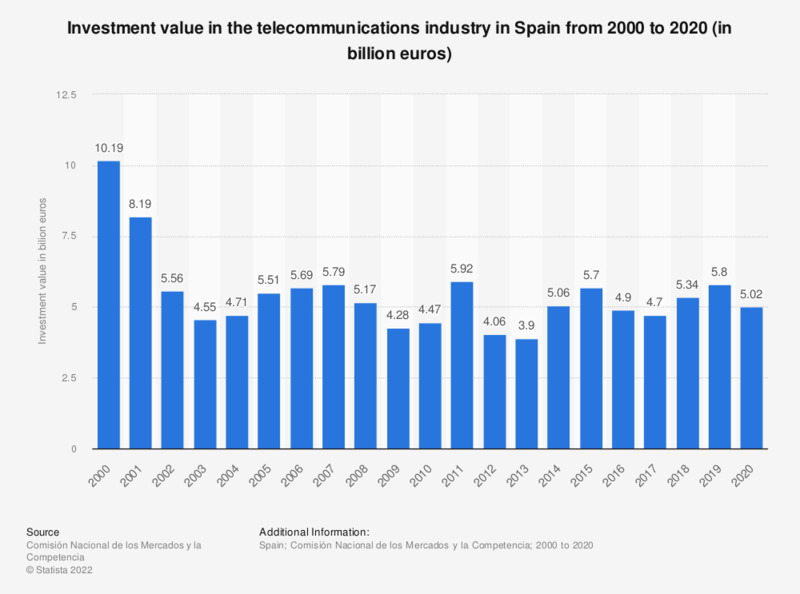 This timeline shows the money invested in the telecommunications industry in Spain from 2000 to 2016. By 2004 investment had decreased to 4.71 billions. Thereafter, the highest investment was made in 2011, when it reached nearly six billion euros. In 2016, investments amounted to approximately 4.88 billion euros.